Bike Friendly Arlington’s second yearly food drive went off with out a hitch last week (except that flat in the first five minutes, thanks for the tube Jeremy). 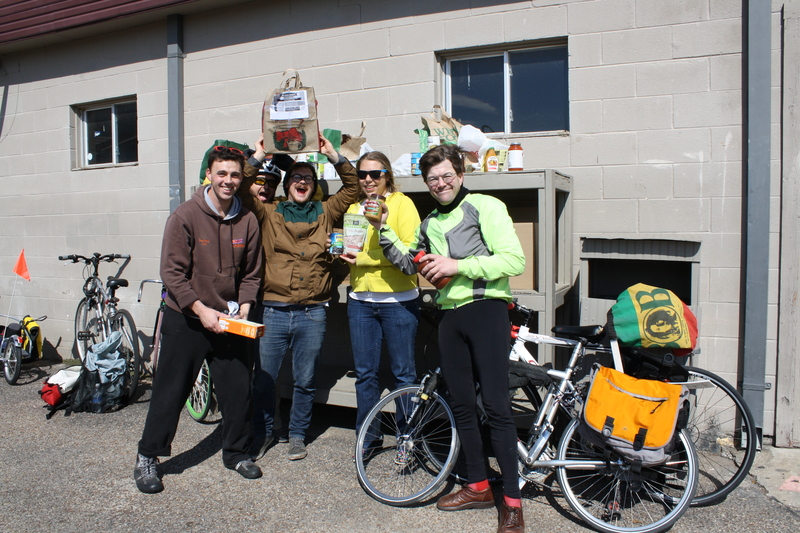 Five dedicated riders took off early in search of the nonperishable foods, to the hundreds of houses where we’d passed out flyers. We averaged about one pick up per-neighbor hood. The ride took most of the morning and Mission Arlington/Mission Metroplex was very positive and thanked us many times for our help. We do the drive every year after the holidays so check back in 2014 for more info. Since there are so many great articles out there concerning bicycling, and there’s only so much we can post on Facebook we felt it prudent to start a Weekly News Roundup and together articles, posts, editorials, in one place. BikeDFW will host a one-day trip to Austin to give cyclists in the Metroplex an opportunity for speak with their state representatives. Sign up for Cyclists in Suits. Bikes with 5-inch tires are the next big thing in mountain biking. NPR tells the story behind a love note written by bicycle. Don’t forget! Join us tonight for the monthly Pub Roll. While you’re there, like our facebook page. It’s only five away from 1,000 likes. If you’ve read something we missed, please link to it in the comments and we’ll add it to the next roundup. With the cold finally behind us, Bike Friendly Arlington has got some social rides and outreach events coming up. That’s right, it’s bicycle season! Check the calendar for all of our events. The pace and distance often varies. We ride on the road and on bike paths. Ride leaders will set a pace appropriate for the group and the route is usually set ahead of time. We follow all the rules of the road. Lights are required, but water and a helmet are highly recommended. Last year’s canned food drive was so much fun and so well received, we’ve decided to do it again. The drive will benefit Mission Arlington. We are looking for bicyclists willing to pick up donations from Central Arlington neighborhoods and delivery them, via bikes, to Mission Arlington. You can download the flyer here. We will meet up with everyone on Saturday, February 23rd to pick up cans. We will meet at 9:30 a.m. in the Mission Arlington parking lot. 210 W South St, Arlington, TX the parking lot is on the south side of the building. From there we’ll fan out from there to neighborhoods around UTA and downtown. If you want to pass them out in your own neighborhood, let us know and we’ll find ways to cover it. We’ll also be distributing them after some of the group rides through out the month. Facebook event. The Trinity sponsored Bike Swap at Rahr & Sons Brewery is coming up so don’t forget to look for us there – we’ll be the ones with all the yellow. The event is Sunday, February 10. We’ll be there at 9 a.m., but the event goes on most of the day. If you really want to make a day of the even’t some of us will be riding there. Meet in Arlington at Fuzzy’s Taco Shop at 10 a.m. 510 E. Abram St. Arlington, TX 76010. We’ve got our monthly Pub Roll set for February 15 at 7 p.m. We’ll meet at the Grease Monkey, 1253 Main Street, Arlington, Texas 76010. From there we’ll head out to some of the new places on Pecan Street via the bike lane. Don’t for get we want to hear from YOU! 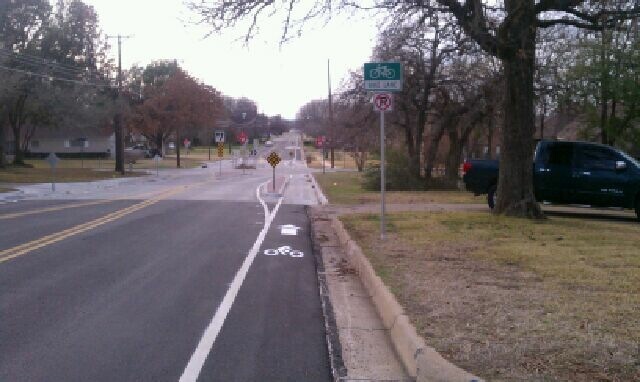 Join us at an event or send us an e-mail (bikefriendlyarlington@gmail.com). We’re always looking for feedback and new members. Ride with BFA in the Arlington 4th of July Parade! 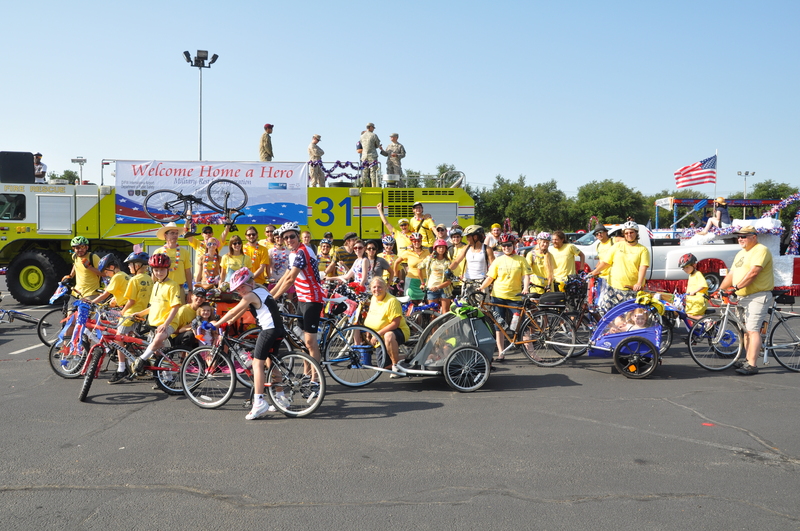 This year BFA will once again join the Arlington 4th of July Parade, and we want all of you to ride with us! 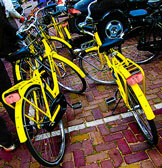 Wear yellow, decorate yourselves or your bikes, bring the kids, and join us for a fun time in Downtown Arlington! Since there are so many great articles out there concerning bicycling and there’s only so much we can post on Facebook we felt it was prudent to start a Weekly News Roundup and put articles, posts, editorials, in one place. If you’ve read something we missed, please link to it in the comments and we’ll add it to the next roundup. Norwood Bike Lane Ribbon Cutting – Postponed! BFA is very excited to celebrate Arlington’s newest bike lane on Norwood Lane, but after seeing tomorrow’s forecast we think it will be more enjoyable for everyone to postpone the ceremony for a day that is less rainy and less cold. We will reschedule the event as soon as possible. We apologize for the changes, but we’re working to make this a special event. Please stay tuned for an update on the new scheduled date and rsvp to the facebook event. Since there are so many great articles out there concerning bicycling, and there’s only so much we can post on Facebook we felt it prudent to start a ‘Weekly News Roundup’ and together articles, posts, editorials, in one place. If you’ve read something we missed, please link to it in the comments and we’ll add it to the next roundup. 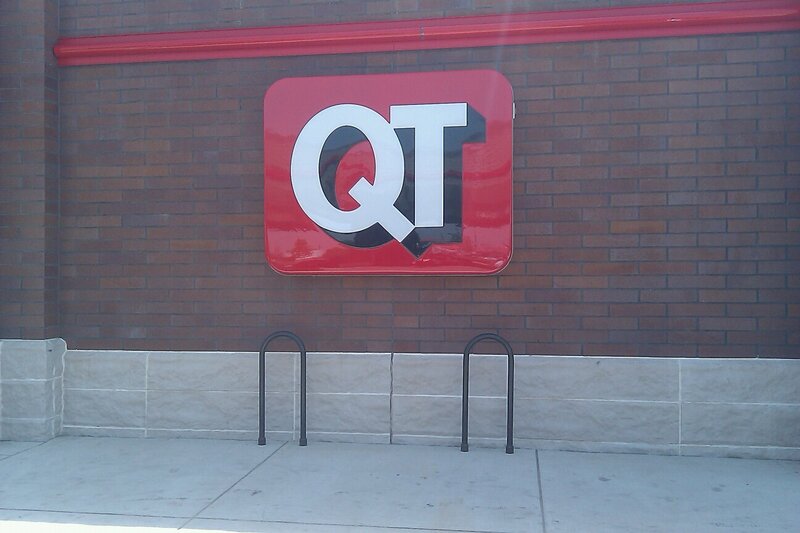 What the picture doesn’t show is that in order to get to the car-friendly gas station and park your bike so you can get a tasty taquito, you have to ride in some very bike-unfriendly streets . The District 3 candidate’s comment is based on the fallacious assumption that 1) getting to the car-friendly gas station is a desirable destination for bicyclists and 2) that the built environment around the gas station is conducive to riding a bicycle. People who support the Plan aren’t necessarily the kind of people who feel comfortable or safe riding with traffic without a bike lane stripe. Nor are the majority of motorists educated about a bicyclist’s right to ride in the street. But he would have known this if he’d actually read the plan. You could throw a water floaty into a public swimming pool filled with alligators, take a picture of the aforementioned floaty sitting empty, then say, “Hey! Another empty floaty at a public pool. 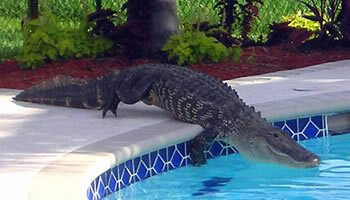 And the water temperature is perfect.” Come on! 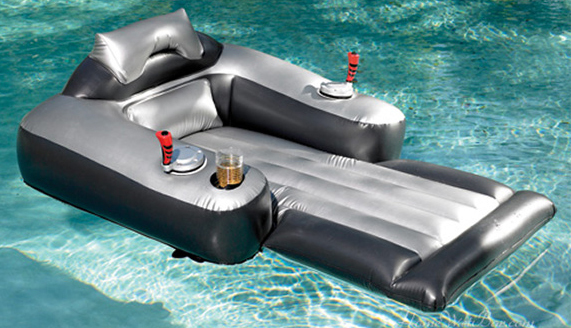 Even James Bond would have a hard time making it out to that pool party. The fact of the matter is that people do not want to ride to a destination if they perceive that their ride there is too dangerous. It has been proven that adding on-street bicycling infrastructure increases ridership. Increased ridership increases safety. Which increases ridership again. Read more about that here: Safety.